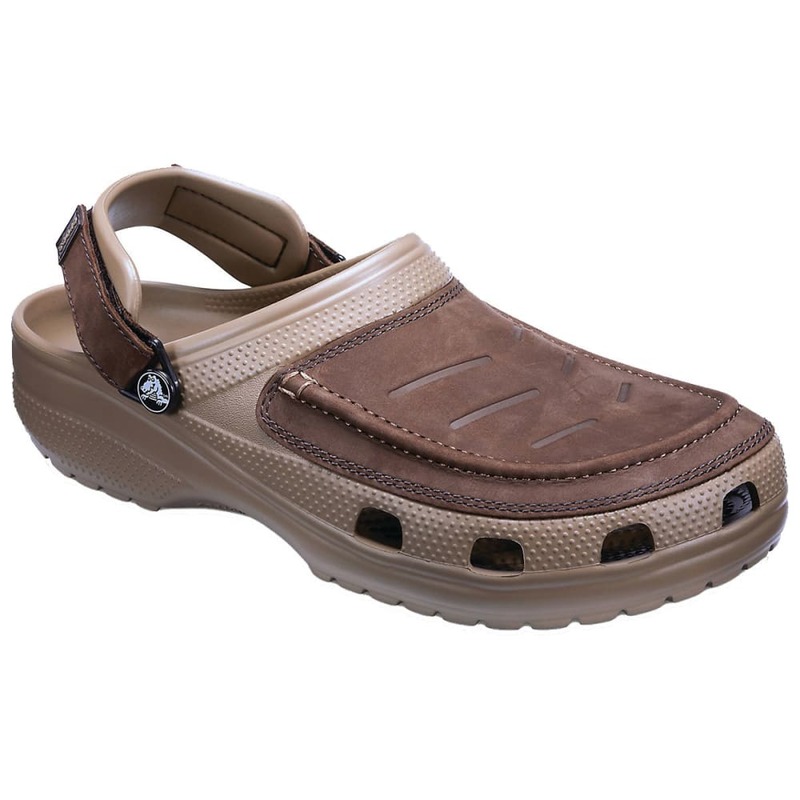 Genuine leather reinforcements on the uppers and adjustable heel straps add a dose of ruggedness to these clogs. With a hook & loop closure system that also pivots forward, they let you choose between a hands-free slide or a secured fit. Croslite??? foam outsoles and footbeds can handle the outdoor elements while providing true comfort around the campfire, on the trail, or back home. Iconic Crocs Comfort??? : Lightweight. Flexible. 360-degree comfort.